I don't really eat cereal and never cared for it. 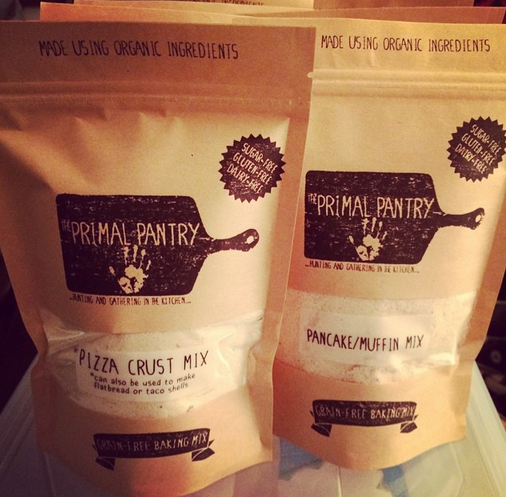 But I had an idea that it would be easy to make cereal primal, and it is. It is nice to have something crunchy to eat when I get that craving. This stuff is, as my Grandma once said, "nuttier n'a squirrel turd." Put the dried fruit in a bullet cup, add the lemon juice and fill with water until covered. Let this sit for a couple hours at room temp or until you notice the water has mostly dissappeared. Once the dried fruit looks nice and plump add the stevia and blend until it is a thick paste. Mix all of the nuts in a large mixing bowl and add the sunflower seeds. 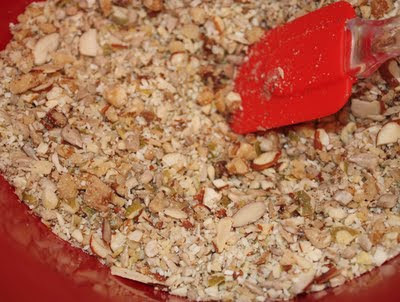 Put the shredded coconut in a food processor with the pumpkin seeds and blend until the mix is pretty well broken down. Add this into the nut mixture and stir until everything is evenly distributed. Now add the fruit paste to the dry mix and spread it out on a baking sheet to toast in the oven. Bake at 375 degrees for about 25 minutes or until everything looks toasty, making sure to stir it around every couple minutes. When it looks done, turn off the oven and let the mix stay in there to dry out completely. Maybe throw in a few slivered almonds or dried berries. Put it in an airtight container for later. You can use any kind of fruit or nut, making sure that you are countering more bitter nuts with a sweet fruit. Pumpkin seeds also tend to be bitter. 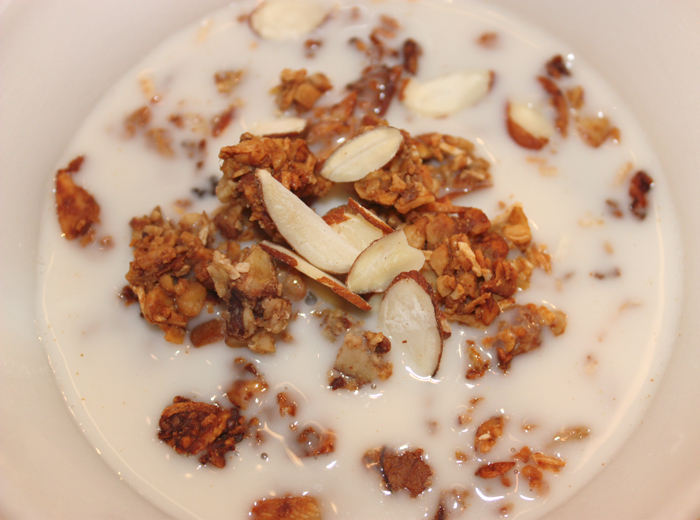 Try a banana-walnut version but make sure you add a little more sweetener to make up for the strong walnut taste. You can also add cocoa powder to the paste to make a chocolate version or you can add dried berries to the mix after it has been toasted. Yum!